Typically, you may map a network share to a drive letter on your machine for easy access. It usually comes in handy, but wouldn’t it be nice to do it on any folder, rather than just a network folder? You can actually do it with the subst command. As just about everyone knows, yesterday Mozilla released their third major version of the Firefox browser. Though this release comes with an overwhelming amount of improvements, some people may still want to use Firefox 2. As a web developer, my company doesn’t officially support version 3 yet (even though support for it seems trivial), so I’m using Firefox 3 Portable for QA with my full Firefox 2 install still intact. From there you can choose a version, your platform and language. For en-US Windows users, here’s a direct link to the latest FF2: Firefox 2.0.0.20 [updated 27 January 2009]. By default, Windows Vista doesn’t have the standard Shut Down button in the Start menu. 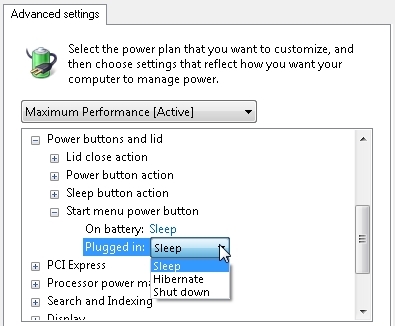 In order to shut down, you need to click the right arrow and choose Shut Down. 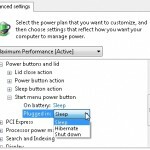 This is a bit inconvenient, however, we can easily restore the Shut Down button in place of the default Sleep/Hibernate button. Navigate to your Control Panel and choose Power Options. As similar method to my previous post on sending free text messages through email, AOL Instant Messenger (AIM) supports sending text messages to mobile phones. It’s a great way to send messages without paying an outgoing fee from your own phone provider. Just add a full 10-digit phone number with a + sign in front of it to your buddy list (e.g. +16175551234). All you have to do is send an IM to that “phone number buddy” and the mobile # will get a text message of that IM. Be careful though, don’t send too many. Do you use BitTorrent or some other P2P program to download music? There’s a good chance that you actually said yes. There’s really no need to though, because there are plenty of other options out there. Here’s a rundown of some sites I use to get music and the pros and cons of each. JamGlue is a mix-based music service that lets you upload your own music and mix it together to make your own remixes. You can mix songs already uploaded by others or upload any music you have on your computer. The trick to free music at JamGlue is the option to download any uploaded music. That means any music that other users have on the site – whether they’re original music by artists or remixes – can be downloaded. First, sign up for a free account; you need to be logged in to download. Next, search the site for a song you want. Make sure you preview first to make sure its not the instrumental (music only) or acapella (vocals only) version. Once you find a song you like, click the Download button in the bottom left of the song’s page. This will take you to another page where you have to click Download again, but this is the last time. SkreemR is a search engine for MP3s. It indexes open directories, blogs, …whatever sites have mp3s on them. It even has a flash audio player for each search result, so you can listen without downloading or you can preview the song before you actually download it. G2P (a play on P2P) is a “search” that actually creates a carefully crafted Google search query for what you’re looking for. It directs your search term to Google and looks at open web directories hosting music and any sites Google has indexed with your search term. Of course it adds in some filters for file types and only searches your term for audio files. You can search for a single song or an entire album. RapidShare1 is is a search-engine / directory for uploaded content on RapidShare.com. You can use RS1 to find full albums that you want to download. Search results to .rar’s and .zip’s can quickly become stale (no longer active), so be aware that it might take some digging to find what you want. Also, the majority of the files are in .rar format, so you will need a program to uncompress them, like 7-Zip or WinRAR.